Update 1: Just finished finalizing some cable management, well as much as I could considering the form factor. Will have updated pictures added soon on Monday. Update 2: Uploaded screenshots of overclock settings and validation. Already having the itch to build something, I was inspired to put together a Skylake-based PC after talking to a friend. After about a good 2 weeks of research and a week of waiting for parts to come in I finally finished the build and have everything set up (including an overclock) of this dream PC that was built to be a "Swiss Army knife" for everything that I could possibly throw at it. Gigabyte GA-Z170N-Gaming 5 Mini-ITX - I'm a big fan of the Mini ITX form factor, though the Corsair 380T case is on the verge of being a Micro ATX-sized case. This board looks amazing considering the limited amount of space there is to do some bedazzling. Great UEFI BIOS that made overclocking a breeze. 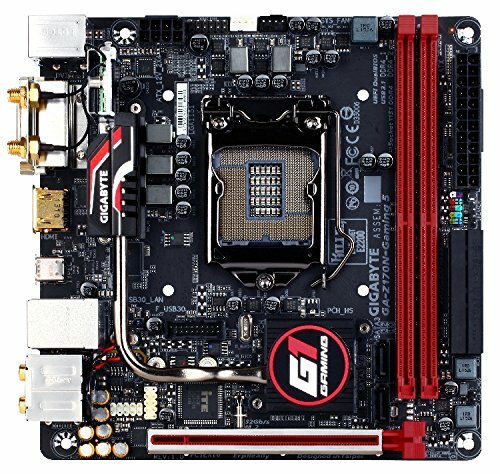 A high quality part, as expected from Gigabyte that is performing very well and seem to supply all the parts with ample power. 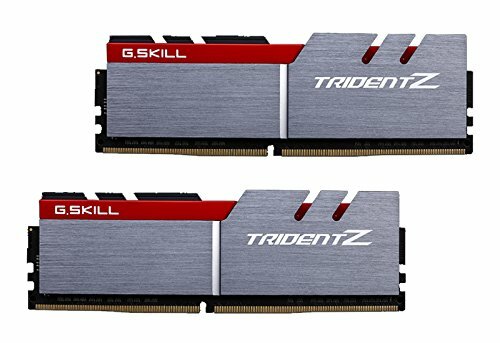 G.Skill TridentZ Seroes 16GB - Didn't want to ever have to worry about how much RAM I had left after opening a million Chrome tabs. Sleek design and 3200MHz DDR4 XMP profile makes them super fast and stable at a high speed. Kingston V300 120GB - for the OS. Affordable and reliable. Not trying to break any speed records so these are plenty fast for me. 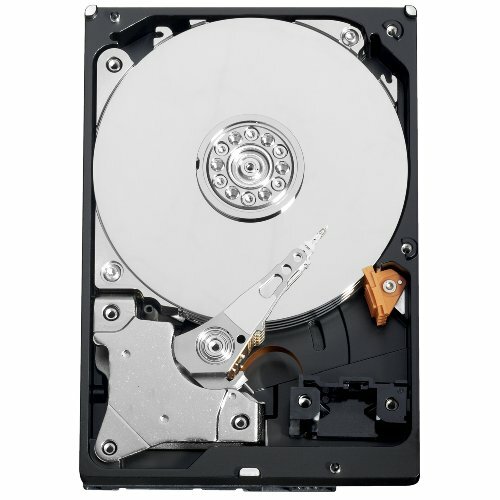 Kingston V300 240GB - for Games and iTunes Library. For storage of large games and media libraries. Wanted these heavier programs to be able to work as quickly as they can. Gigabyte GTX 970 Mini ITX card - The most powerful card I could get in this size and happens to be the exact card that I wanted. Only need to be able to play everything current in 1080p highest settings at good frame rate. Highly recommend it for powerful ITX builds. Corsair 380T - this case was actually purchased on impulse. 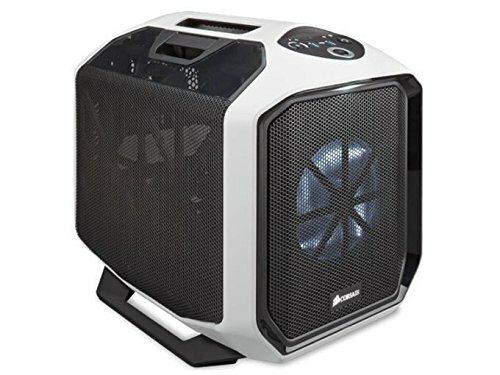 I had already picked up the Corsair 250D and was half way through my build until one day I spotted a Shell Shocker special on Newegg selling it for $85 with a $30 rebate. Couldn't believe the deal, and couldn't believe how awesome the design was. The carry handle sold me, the side doors for easy access for occasional tinkering. Oh and don't even get me started about the great cooling. It's basically a frame wrapped in mesh at this point. Corsair AX760 760W - I wanted to go for a 80+ Platinum power supply and it seems that everyone was trying to get rid of the EOL stock of the AX series line. So had to pick one up to provide ample power for this build. Cougar Vortex PMW 70.5 CFM 120mm Case Fans - This is a company that I recently discovered and I think I have officially become one of their biggest fans. Great German-based company that offers amazingly high-quality products at stupidly affordable prices. These fans are hydro-dynamic bearing fans and are super quiet rivaling the fans of the competition (Noctua) at a couple bucks less. Keyboard: Cougar Attack X2; Cherry MX Blue switches, German design, simple, extremely high-quality built keyboard, no lighting (but I like it that way). Thanks for checking out my build. I know it might have seemed I was going all out Corsair and Gigabyte for this build, but it just so happens that at the time I decided to build that all these part were offered at great prices when compared to other quality comparable products. I don't think there is anything extremely super unique and bizarre about the part of this build, but I do think that the arrangement together comes to a very sound and super capable PC that resembles an "IDEAL" setup/situation for a PC at this current time. Corsair H100i GTX (yes it fits in the 380T, I think Corsair definitely planned on that). Great performer and the stock fans are pretty quiet, but get exponentially louder when they star t to ramp up. Might want to consider switching them out if you want a silent rig. 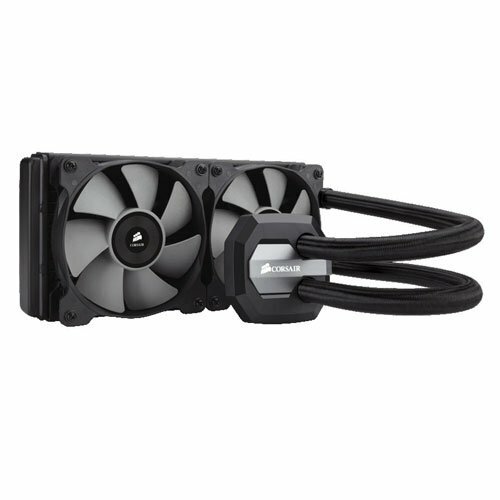 Cooling performance is top notch for an AIO system, probably one of the best period. Gigabyte GA-Z170N-Gaming 5 Mini-ITX - I'm a big fan of the Mini ITX form factor, and a huge fan of Gigabyte too. So this was pretty much a no-brainer choice for me. Gamer G1 Series Z170 board that has top-notch build quality and super performance as it is handling a 4.6GHz overclock like a champ! Ok, I know. This is not the fastest, or the best drive that you can buy. But I had them and bought them as part of a really good Shell Shocker deal from Newegg (of which now they can be found at that price every day, so really wasn't that much of deal lol). However, they were affordable, from a highly reputable brand and have been performing great since I got them (crazy number of Amazon reviews too :p). Read and write speeds averaging in the high 150MB/s. 4-Stars because it's not a Samsung EVO. General data storage. I picked the WD green because I wanted something that was built for efficiency and reliability. Even though it's a slower 5400RPM drive, I knew that for my normal usage that I do not access the "long-term" storage too much during my work flow and that I just need the drive there for keeping things that I need to hold onto but don't necessarily need to interact with every day. It only winds up when I need to access it but quickly lowers power consumption when it's not in use. Basically WD Blue with a different power usage algorithm. Has been great so far and I don't see it being replaced any time soon. Doors provide super quick and easy accessibility to components for tweaking. It is a bigger Mini ITX case, so it is easier to work with compared to other options. The handle is super sturdy and provides the best case for when you need to transport this guy for LAN parties. All the mesh makes this case super breathable (it's basically a steel frame wrapped in mesh). Small windows provide a good peep at the hardware that is inside. Fits an 240mm radiator quite easily. The quality expected from an top-tier brand in Corsair. Smooth power deliver. Quiet, like really quiet. I have yet to see the fan turn on. Modular design makes is really easy to work with. Perfect for clean builds and cable management. 80+ Platinum rating is, well, Platinum. This is a company that I recently discovered and I think I have officially become one of their biggest fans. Great German-based company that offers amazingly high-quality products at stupidly affordable prices. These fans are hydro-dynamic bearing fans and are super quiet rivaling the fans of the competition (Noctua) at a couple bucks less. Yeah totally. I actually just spent a couple hours last night re-doing all the cabling and took out a drive to put in another build. That freed up some space to put cables. With the way this case is, and seemingly most Mini ITX cases, there really isn't a lot of room to hide cables since the MOBO stack is lodged in the middle of the case and you need things to plug in on each side of the board. However, tried my best and I think it turned out pretty good. Wish there was more window to see the inside though, oh wait I can just open those doors when I wanna take a peep. Any suggestions on lighting? Blue seemed like a good idea at the time, I'm having second thoughts though. Nice... get some new photos up. I spent a lot of time on managing it but I'm sure I can do a better job so I'm going to find a few hours one weekend to try to redo it. As for lighting, I was thinking about changing out all the fan to maybe another set of corsair w/ LEDs but I'm going to wait till there is some sort of sale (need 5 120mm fans). I'm sort of worried that if I introduce too many LEDs, I won't be able to notice that RGB lighting on the Corsair h100i. We'll see what happens, once I get some new fans in here and clean up the wires, I'll post them up. You know that you can change the case IO panel to blue leds vs white. you can buy a new little board from Corsair. I think I might just stick with white or maybe go with red. Can you post your OC settings? Im new to overclocking, and wouldn't want to fry my cpu. Thanks. Yeah, I'll throw in a screen shot of my OC settings so you can see what I did. YMMV depending on the motherboard and the chip that you got (the chip lottery be damned lol). Skylake, K-processors, and Z170 mobos make overclocking dead easy, it's just surreal. It's not like the old days when I first got into building where it really seemed like you were venturing out into the unknown. Just uploaded the BIOS screenshots for the overclock settings. It's pretty simple. I found that staying under 1.35V was the best for me, I'm uncomfortable about getting close to 1.4V. I was able to achieve 4.6GHz pretty easily with my H100i GTX, though, I think I might be able to get bigger gains with it. I would try knocking it up to 4.2Ghz first and then moving up by 0.1GHz increments. 4.5GHz seems to be the average gain that you can get for most samples of this processor. Let me know how it goes!